While advances in medicine have changed the lives of many people living with cystic fibrosis, care center visits and hospital stays become a normalized part of one’s daily routine. Due to infection, someone with CF is often isolated and not allowed in hospital common areas during their stay. A common cold can be life threatening to someone with CF. 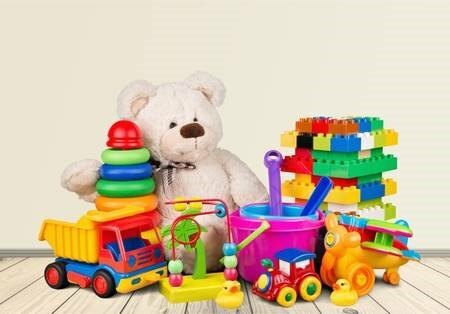 Because of easily transmitted germs in a playroom setting, it could be detrimental for a child’s health to do something as simple as share toys with other children. At the Grand Chefs Experience, attendees will have the opportunity to purchase $3,000 worth of toys and then donate them directly to Comer Children's Hospital in Chicago. The toys will then be given to children and teenagers as they attend treatments and stay in the hospital. Whether it’s a new book, princess dress up kit, or Lego action figure—you will be sure to bring a smile to a child’s face with this 100% tax deductible donation. The donor will also have the opportunity to deliver the toys directly to the hospital and meet the cystic fibrosis care team that cares for these children on a daily basis. Experience the enchanted island of Bali and its luscious valleys, beautiful beaches, and serene mountains with a seven (7) - night stay in a private villa for eight guests. Sitting just a few hundred meters from the beach, Villa Paradiso features stunning views of the lush river valley and mountains beyond. The four (4) - bedroom villa features a private 40 foot tiled swimming pool, eight person jacuzzi, stunning water fall for meditation, and fully equipped kitchen. While you may never want to leave your private paradise, complimentary breakfast is served daily at the Garden Café next door. On an evening of your choice, you will be served a special Balinese dinner featuring a variety of spices, blended with fresh vegetables, meat and fish that will demonstrate the indigenous tradition of the Balinese people. Spend a day swimming alongside octopus, turtles, reef sharks, or blue-spotted stingrays while a master diver takes you into the sea for a dive or snorkeling excursion. Located near the Amed community, known for outstanding diving, snorkeling, hiking and a relaxed ambiance. 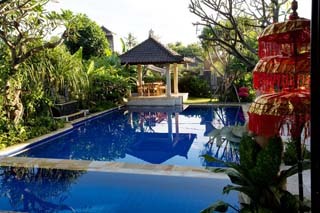 The natural beauty and warm and friendly people make Villa Paradiso an ideal location for those who wish to experience the authentic Bali, far from the tourist crowds. 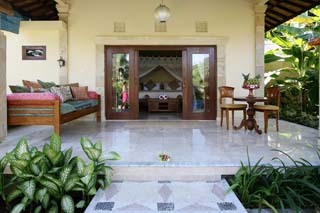 Décor: The Villa is recently built and decorated with tasteful local furniture. Indonesian marble is featured throughout the home. Location: Located just a few hundred meters from the beach with stunning views of the lush river valley and mountains beyond, the villa is in the perfect location to relax and renew. Amenities: Hot tub, air conditioning, swimming pool, TV, DVD player, free WiFi, daily housekeeping, day spa, Garden Café (breakfast, lunch, dinner), full bar, and room service. Restrictions: Added meals, drinks, phone, excursions, transportation, and gratuities NOT included. Must be used within two years of purchase date. Accommodations based on availability. What better way to kick off your Grand Chefs Tableside Tasting Experience than with custom cocktails made specifically for your table. As soon as we say “SOLD,” one of Chicago’s leading mixologists will wheel a fully stocked bar cart over to your table and provide all ten guests with custom crafted cocktails. They won’t stop after just one round. They will keep on tending to your drink needs throughout the entire tableside tasting and speaking program portion of the evening’s event. If perfectly paired wine is more your speed, then now’s the chance to have one of Chicago’s elite sommeliers visit your table, consult with your tasting chef, and provide an upgraded wine pairing to compliment whatever delicious meal your chef has whipped up. In addition to your paired wine, the sommeliers will be offering up their expertise on some of their favorite wines for your entire table to enjoy. Chá Gordo (Portuguese translation "Fat Tea") is a traditional Macanese, late afternoon tea-focused banquet overflowing with savories and sweets. Usually reserved for special occasions and large family gatherings, Chá Gordo is a standing, mix-and-mingle style event that promotes conviviality and a damn good time! We invite you and 30 of your closest friends to our restaurant, Fat Rice, in Logan Square for an exclusive, private event. We will be showcasing an abundance of Macanese bites and rich pastries from Chef Elaine Townsend, (2019 Jean Banchet Rising Pastry Chef) alongside our signature Arroz Gordo (Fat Rice) as the bountiful centerpiece for your guests' enjoyment!! 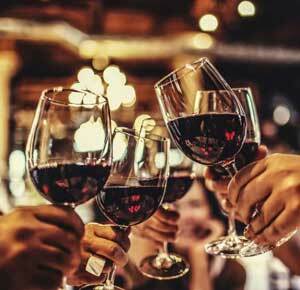 This feast will be paired with a selection of unique teas from Rare Tea Cellar and small production Portuguese wines by Craig Perman, (Perman Wine Selections). Gather your favorite friends and family as this will be a one-of-a-kind night to remember. Bom Apetit! Restrictions:  Valid on a Sunday evening for 30 guests. Mutually agreed upon date, subject to availability. Will the Patriots be back in the big dance? Will a young, up-and-coming team win the Lombardi Trophy and spark the beginning of a new dynasty? 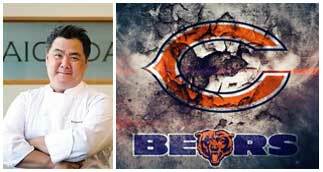 Could it be YOUR beloved Chicago Bears? 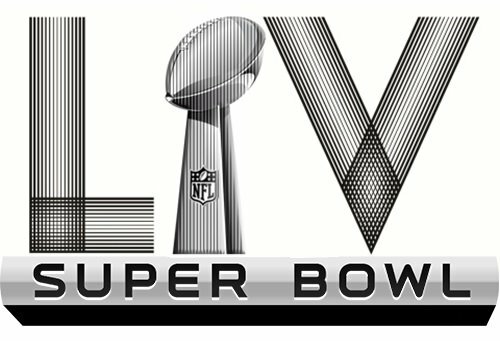 Fly first class to Miami, FL and attend the most celebrated sporting event of the year—Super Bowl LIV. From club level seats at Hard Rock Stadium, you will receive two (2) tickets to watch the most televised sporting even the world has to offer, in person. Includes 130,000 AAdvantage miles to get you down to sunny Miami in style. Restrictions: Ground transportation, meals, drinks or hotel accommodations not included. Find a reason to celebrate because a mouthwatering experience awaits! 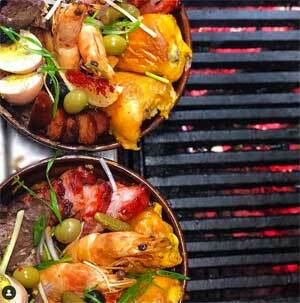 Enjoy a four-course family style dinner for six people at the creative and delectable, Barrio! Your dinner will be curated and presented by Top Chef alum, Katsuji Tanabe in the Casita private dining room. 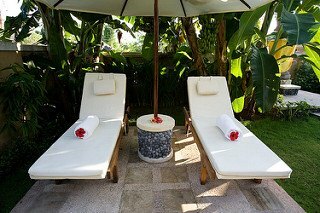 Your private Casita provides the perfect ambiance for intimate affairs with sliding cabana doors that allow you to watch the action unfold in Barrio or stay secluded. 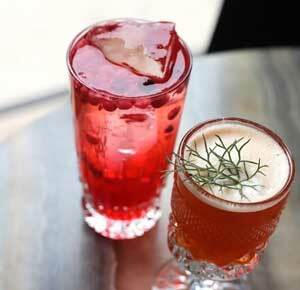 You night also includes homemade cocktails from DineAmic Group’s corporate mixologist. No matter the occasion, this will be one dinner you and your guests will remember for a lifetime! Restrictions: Advanced booking required. Must present certificate on night of redemption. Package does not include service gratuity. Holiday and blackout dates may apply. Expires June 30, 2019. Cheer on the Chicago Bears next season with a once-in-a-lifetime experience! While their schedule hasn’t been released yet, it is never too soon to Bear down. Chef Ryan McCaskey of two Michelin starred Acadia will host you and your guests at the restaurant for a game-day tailgate fit for royalty. You and Chef will work together to customize your experience based on game availability and kick-off. Then, head on over to Soldier Field to catch the Bears in action. This incredible package will be for 8-12 people, depending on the selected game, with some surprise perks in the works! Restriction: Mutually agreed upon date. Subject to availability. Some black-out games may apply. Expires February 1, 2020.